Why Hire an Attorney for Traffic Court? More than 4 million traffic tickets are issued in Florida every year, most for offenses like speeding, careless driving, improper lane change, failure to yield and running red lights. No one likes getting a traffic ticket. That’s why a lot of folks just pay it and move on. But there is often a strong case to be made for fighting your Florida traffic ticket, and hiring an attorney to help you do so. Preserve your commercial driver’s license. When you simply pay a traffic ticket, you are admitting fault. You will get points on your license. You will have a conviction on your permanent record. Your insurance rates will soar. You may even lose your license. This kind of fall-out is usually easily avoidable when you have an attorney fighting on your behalf. Often when people hear the words, “attorney” or “lawyer,” they automatically think it’s going to be way too expensive to be worth it. This might be true for some lawyers or in some cases. But most traffic ticket attorneys have rates that are reasonable – and make sense for the situation you’re in. We understand that it would make little sense for you to pay a lawyer more than what your traffic ticket is worth. We also understand you are looking not just at the fine assessed for the ticket, but a hike in insurance rates, the cost of traffic school and the possibility of having your license suspended (which could have consequences for your job). They may also be higher for those with a past record of poor driving. One of the reasons it’s really not expensive to hire an attorney is that your lawyer may handle several traffic cases every day. Typically, these matters aren’t all that complicated and reduction of fines and penalties is simply a matter of understanding procedures and knowing how best to challenge the evidence on technicalities or ask for a break on your behalf. You may not even need to appear, as we can often do so on your behalf – another advantage of hiring a traffic ticket lawyer. Our goal is to work to help you pay as little as possible – and to reduce whatever penalties you face to the greatest degree available in your situation. What’s probably going to happen if you fight the ticket. You have nothing to lose by reaching out for a free initial consultation. The vast majority of all cases – both criminal and civil – do not go to trial. The National Motorists Association estimates that among drivers not facing charges for DUI, reckless driving or some other charge with more serious penalties, less than 5 percent contest their ticket. Of those, most cases are settled before trial. Particularly when it comes to traffic tickets, jurisdictions are looking to generate revenue, not lose it. Trials are costly, and they know it. It’s not just the prosecutors they have to pay, but the officer (to show up in court) and all the other court personnel for the duration of the trial. If you show up with an attorney prepared to fight, chances are prosecutors will often offer up a favorable plea deal right away – particularly if you are a first-time offender. If that plea offer isn’t in your best interest or we know you can get a better deal, we’ll press for it. In some situations, we may have an easy case for dismissal if the officer doesn’t show up, doesn’t record all evidence properly or fails to accurately state the facts of the case. 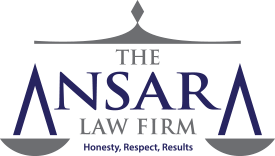 Our skilled, experienced defense lawyers have a great deal of knowledge when it comes to the finer points of these cases and their outcomes, and we’ll help steer you to a better solution.